Welcome to the PancakeBot Firmware and PancakePainter Beta page. We have made several changes to improve the user experience of both the software and firmware based on your feedback. The biggest change in this update is the ability to adjust the printing speed of the PancakeBot. Once you update the firmware, you will be able to adjust print speed using the beta version of the PancakePainter software. In addition, we have added features in the software for undo, copy/paste, multi-select, and a new fill algorithm that will improve pancake fills. Please make sure you to read and follow the instructions carefully. Since this is a beta release, please use at your own risk. Thank you for supporting the PancakeBot. We are already working on updates for the newer version so stay tuned! For beta software, click here. For Mac version, click here. Click here to download the firmware beta version 2.0 for PC. Warning. This is not an official release. You are a beta tester for this firmware update. This firmware version only works on Windows machines. 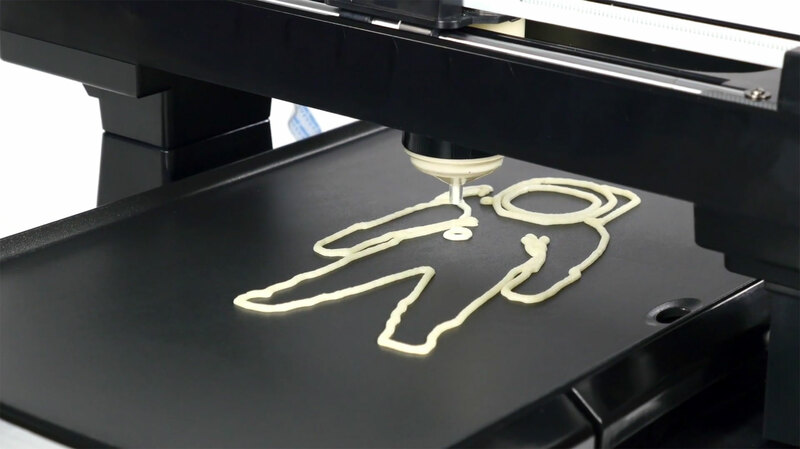 Once you have tested, please contact Miguel Valenzuela with your thoughts or any feedback at pancakebot@gmail.com. Thank you. Make sure the bot is plugged into the wall socket and USB cable to computer to it during the whole operation or else the unit may cease to function during the update. 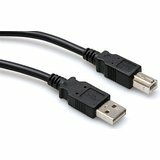 You will need a standard USB printer cable (type A to type B). See below. Unzip the contents of the pbfw.zip file onto a convenient place on your PC such as the desk top. Please note, when unzipping the folder, you may get a security error from programs such as Norton regarding the Xloader program. Make sure to allow for this program to be unzipped. Install PL-2302 Driver by double clicking on the "PL-2302 Driver Installer.exe" Note: This will require you to restart your computer after install. Connect USB cable from computer to the PancakeBot. Turn the PancakeBot on by pressing the power button on the unit and allow for your computer to detect the PancakeBot. Once the PancakeBot is detected, turn the PancakeBot off by pressing the power button on the unit. Go to the contents of the PBFW.zip file and open the Xloader folder. Double click on "xloader.exe". 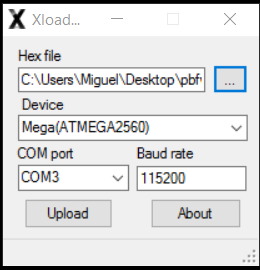 In Xloader, in the "Hex file" menu item, select the box to the right with the 3 dots on it to navigate to the "PBFirmwareUpdate2.0.hex" file. For the Device, Choose Mega(Atmeg2560) from the dropdown menu. Under the COM port download menu, choose the com port for the bot. It should only display one com port like COM4 or COM3. Press and hold the power button down until the file is uploaded. While still holding the power button, click Upload. Once the file is uploaded, a message will appear stating how many bytes were uploaded to the device. Let go of the power button and your firmware update should be complete. Issues: Some PCs running Windows 7 & 10 have reported issues with the USB driver file. We are still trying to resolve this. The speed is controlled with GCODE generated by the Pancake Painter file. To change the speed, got into the GCODE Pancake File open the .GCODE file with Notepad. There is a G Code Command "G1 F5600;" (Note: the F number may be different). That is the speed setting. This speed setting is for 5600 mm per minute travel speed of the head. To slow it down, reduce this number. In the GCode, type in G1 F2600;. This will travel at a rate of 2600 mm per minute. The faster the unit goes, the less precise and more backlash it has. We recommend not exceeding 8600. Once your bot is sped up, you will need to increase the discharge pressure by rotating the pressure dial on the bot. Watch this video to help you better on drawing pancakes. For PC version, click here. Click here to download the firmware beta version 2.0 for Mac. This firmware update only works on Mac machines. The Mac update uses command line commands and the instructions need to be tested out further. Once you have tested, please contact Miguel Valenzuela with your thoughts or any feedback at pancakebot@gmail.com. Thank you. Extract the files to an easily accessible location on your computer. Install the PL2303 Driver software and plug in your PancakeBot using a standard printer cable. Turn on the PancakeBot. Find the location of the Port by using the command line prompt on your mac. Type "ls /dev/tty*" (without quotes) to locate the port. It should b listed as "tty. usbserial". Make note of the Port Location. Extract the files from usbtiny-intel-macosx-avrdude-54.zip onto an easy to access location (Desktop works best). Within the extracted folder will be two files, avrdude and avrdude.conf. Note their locations. Install AVR8_Burn-O-Mat_2_1_1.dmg and run the app. Select ATMega2560 from the AVR type dropdown menu. Under "Flash", browse to the location of the PFFirmewareUpdate2.0.hex file. Select the "Settings" tab on top of the program. In the AVRDUDE location, navigate to the avrdude.exe file and select it. In the alternative AVRDUDE configuration file, navigate to the avrdude.conf file and select it. In the AVRDude Options, select the "stk500v2" option. For port, select the matchin port location (see Step 2 above). Uncheck the radio buttons for "VCC will be left activated on exit" and "reset will be left activated on program exit". Under "Additional Options" enter "-b 115200". Click "Apply" and then "OK" to go back to the main menu. Click "Write" under the Flash List to write the firmware to the chip. A succesful upate will prompt "flash write successful". Run a PancakeBot file from the SD Card and verify that the speed has increased. Click here to download PancakePainter 1.2.0 Beta (PC or Mac) on GitHub. More accurate shape offset based "cam" style fill output rendering algorithm to complement the previous line based fill. See View -> Advanced Settings -> Shape Fill effective batter width to set the distance between each offset shape. Please contact Miguel Valenzuela with the results of your testing at pancakebot@gmail.com.